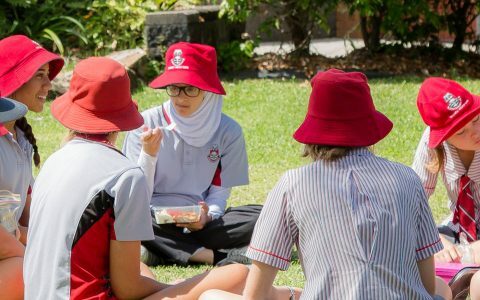 At Whitsunday Anglican School, our students have the opportunity to undertake speech and drama and communication lessons to improve their memory, gain confidence and further their dramatic skills. Communication and Speech and Drama lessons take place during the school timetabled day and students come out of their normal classes for 30-minute lessons each week. The time period for these lessons will depend upon each child’s enrolment. Students also have the opportunity to sit Trinity College of London Examinations and perform in the Mackay Eisteddfod. The Trinity College of London Examinations provide children the opportunity for personal growth through the Arts. Drama through literature demonstrates the power of language, the value of performance and provides experiences in interpersonal communications. Communication exams provide the opportunity to persuade, to negotiate, to summarise and to communicate information, ideas and opinions in a variety of contexts. The exams are conducted as a one-on-one with the candidate and the examiner in a quiet room. The procedure of the exam is covered in the preparation. The Mackay Eisteddfod runs over 3 weeks in October each year. There are a variety of competitions take place during the Eisteddfod of which the Speech and Drama section is usually held towards the end. The Speech and Drama section provides opportunities for students to perform poetry, characterisations, mimes and duologues in year level specific competitions. Entry nominations generally take place online in April. Information on entering competitors, including a link to the webpage, will be provided closer to the time. Once entries close, weekly lessons will commence. For more information on these opportunities please contact the Activity Coordinator Mrs Diane O’Connell at doc@was.qld.edu.au.